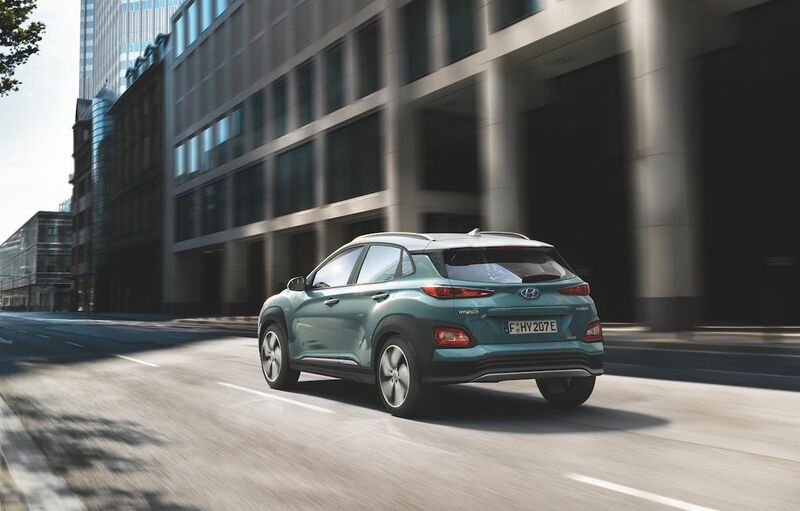 Hyundai Kona EV made its global premiere at the 2018 Geneva Motor Show and Euro-spec model comes in two variants – Short range and Long Range but for US, the company is introducing only the long range. The Kona EV made its US debut at New York Auto Show and sales are expected to begin later this year. 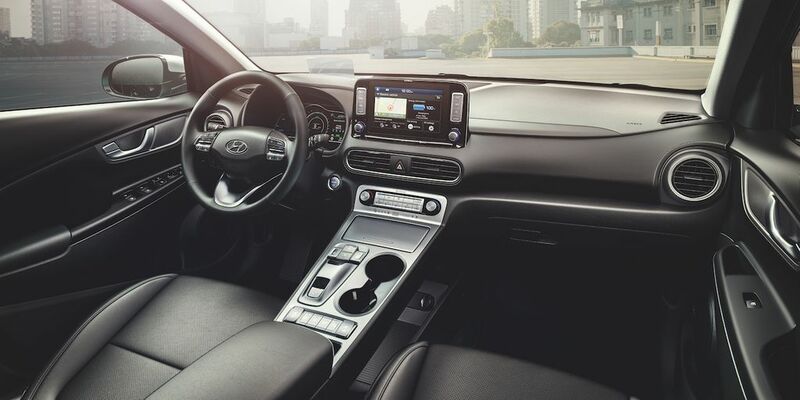 During the US launch, Hyundai claimed that Kona EV has a range of about 402 km. The official EPA numbers for US model is out and the Kona EV has a range of about 415 km, which is much higher than 383 km range of Chevrolet Bolt EV. But EPA fuel efficiency between both models is almost same as Kona EV has an MPGe rating of 120 and 119 for Bolt EV. Even though Kona EV has more range, the annual fuel cost is same $550 for both models. Nissan Leaf EV is much lower than Kona EV as it has range of just 243 km and MPGe rating of 112. The US spec, Kona EV comes with 64 kWh lithium-ion battery pack, which power an electric motor and it produces 204 PS of power and 395 Nm of torque. According to Hyundai, the EV can hit 100 kph from stand still in just 7.6 sec and top speed is 167 kph. The Kona EV takes 9 hours and 40 minutes to fully charge using a standard AC charger, but this time can be drastically reduced to just 54 minutes with a 100 kW DC fast charger, but it is not available across most places in US. The short range Kona EV is powered by a singe electric motor produces 135 PS of power and 395 Nm of torque as it come with 39.2 kWh battery pack. The EV model took just 9.3 sec to reach 100 kph from stand still and top speed is 167 kph, which is same for both models. The smaller battery takes 6 hours and 30 minutes to fully charge. 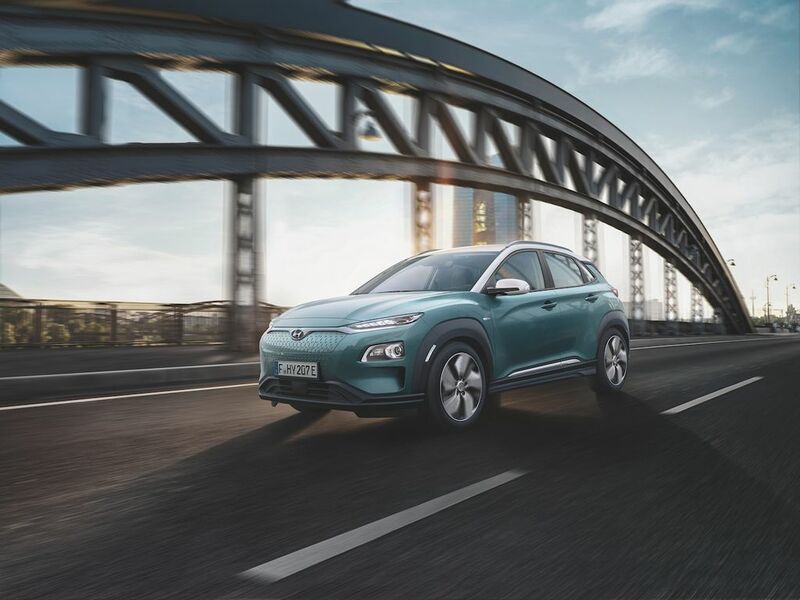 The design of Kona EV is exactly similar to normal model except for closed grille and air-curtain at front to reduce drag along with new alloy wheels. The EV model also comes with 7 inch digital instrument cluster and features list is same for both models. Hyundai will more likely introduce Kona EV next year in India as limited units.